It is a very common situation – marketers who had never gotten around to establishing a specialized Hispanic program are suddenly faced with a corporate mandate – “Go after the Hispanic market!” Other companies and brands are clearly benefiting from having done so and may appear to be very far down this road – but you are just taking your first steps. There’s no need to be intimidated; in fact, by starting now you can benefit from the best practices established by others and avoid the pitfalls (and the bumps and bruises) they encountered. Before you get going, you need to do your homework – to understand what you should do, could do and need to avoid at all costs. Most advertisers begin with research, both internal and with a partner who intimately understands the Hispanic market. You can be wiser than those who may appear to be further along by relying on expert research that has much more refined tools and methods – that recognizes that the “Hispanic market” is heterogeneous and ever-changing. Syndicated data has its place in this process, yet often falls short by having no Hispanic data view. To properly identify the Hispanic opportunities for your products in your categories, you need to develop a tailored program – one that reflects both your needs and your budget. Of course, there is no one singular way to go about this process of discovery – but here is a general guide, based on years of experience with clients in dozens of CPG categories. Start with some secondary research to quantify basic information about your company categories, to see which are the lowest hanging fruit – the ones in which Hispanics over-index. For this you would use shopper data or syndicated studies that show market activity and incidence levels by market (and ethnicity). There may, however, be bigger opportunities in categories in which Hispanics under-index; here you can examine why there is a lack of interest, possibly “introduce” the category, present your brand as the solution, and own it. But tougher categories are best taken on when you have a better idea of what you are doing; it’s best to start with the simplest tasks. What are my objectives in targeting the Hispanic population? What can I learn from competitive brands that target Hispanics? What has my company done that has succeeded or failed? What holes in my discovery need to be filled with custom research in order to have a solid strategy and activate tactics? At some point, if it has not been done already, the group will consider hiring an ad agency and/or a strategic consultant that specializes in the multi-cultural or Hispanic-specific market. This can be done at any point, but the strategic consultant is often brought in to lead the secondary data search. An ad agency typically comes on board after the secondary research phase but before the start of custom research; this way, the agency can be part of the learning and benefit from the insights and consumer input (as well as contribute to the process from their own unique perspective). Because hiring an ad agency can be a long and involved process, this is sometimes done after the client has figured out what categories, brands and products they will be focusing on. The client might pick a very different agency depending on their starting point, as they will be looking for teams with certain types of experience. At the very least, sub-optimally, the agency people can then be exposed to the video tapes and transcripts of the earlier qual work. If you have the budget and need to find out more based on the qual results, you may want to consider ethnographic research – shop-alongs, home visits, groups of “comadres” or “compadres” who will gather at someone’s home and talk informally or go out together to partake in the retail experience. Your quantitative research path will depend on your objectives in targeting the Hispanic population. For instance: Are you targeting within the existing brand portfolio? Are you thinking about a separate ad campaign, with or without specific in-store activation? Or, are you launching a new brand? With quantitative research, you can test the hypotheses that well-executed secondary and qual has developed. Many clients simply start with an Attitude and Usage study to quantify the opportunities raised in the qual and ethnographic work, and to get a clear idea of where an existing brand is positioned in the market. Yet, an A&U could fall very short of providing the information you need if you are talking about messages and/or new product launches. For these, you need to undertake more comprehensive research. With a solid A&U in your pocket, you can confidently pick a category to start with, a brand to focus on, make projections for ROI, establish budgets – and really get going. You can also use the A&U as a benchmark wave for any future tracking or brand health monitoring. Clients often try to simply adapt their general market strategy to the Hispanic market. This can be problematic, as needs/priorities can be very different among Hispanics – especially when the issue is messaging and ad creative. This is why, as part of the ad development process, clients will often commission more Hispanic-focused quant research to test the positioning concepts or messaging before picking one to be produced. The client may then set up some test markets (and a control or two) to monitor the progress for the brand and the quality of the campaign. After two or three waves of a pre/post tracker, the client can decide to go national with the effort or to roll out regional approaches if deemed best for the category. After a campaign has proven its potential, other elements are added, such as in-store promotions and co-op marketing like store flyers, events, online, and promotions – all of which can and should be researched prior to launch. As the effort matures, additional categories can be tackled, and ultimately you reach the holy grail of marketing to Hispanics – marketing not just your products, but your Master Brand. This is one of the more effective ways of building a deep, abiding relationship with Hispanic consumers, one based on confidence that the brand will be there for them. Eventually, doing solid Hispanic research and marketing will become a standard part of every company’s everyday business. 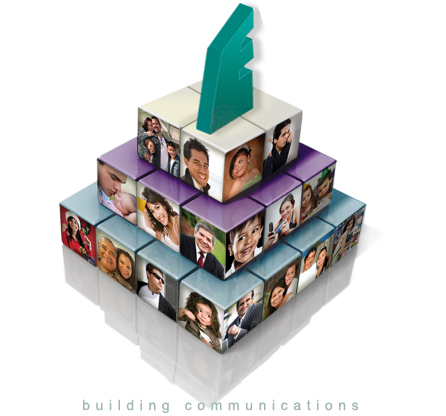 You will have integrated your Hispanic effort into your mainstream campaigns, so it will be seamless and synergistic. For the moment, however, adoption of Hispanic marketing into the mainstream is inconsistent – which means that untapped opportunities still abound; so don’t feel bad you’re getting a late jump. Start the process of finding your Hispanic-market-fueled profit growth today!